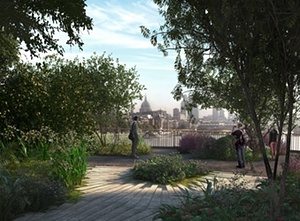 London’s garden bridge: the end of the road? But Transport for London (TfL) and the Garden Bridge Trust have carried on regardless, egged on by powerful Bullingdon backers, mayor Boris Johnson and chancellor George Osborne. The president of the Metropolitan Public Gardens Association has described it as a “vanity project of a windswept garden on an unneeded bridge”, while leading bridge engineers have called it a “private garden platform pretending to be a bridge”. The National Audit Office has been ordered to examine the “rationale” behind George Osborne’s pledge of £30m of Treasury funding for the bridge. Their correspondence over funding the bridge was recently uncovered by the Architects’ Journal, in which Osborne spelled out his £30m grant and urged Johnson to “do the same”. Opponents have objected to the £60m of public funding and the £3.5m annual maintenance costs, to the restricted access for bikes and to the murky procurement process, which saw Thomas Heatherwick appointed ahead of other experienced bridge designers. Pomo summer: Memphis Group designer Martine Bedin’s Super Lamp can be trailed along like a dog on a leash, demonstrating the collective’s playful style. “We were always discussing the possibilities of new furniture, furniture that could move,” said Bedin. “I was designing everything on wheels at this time. 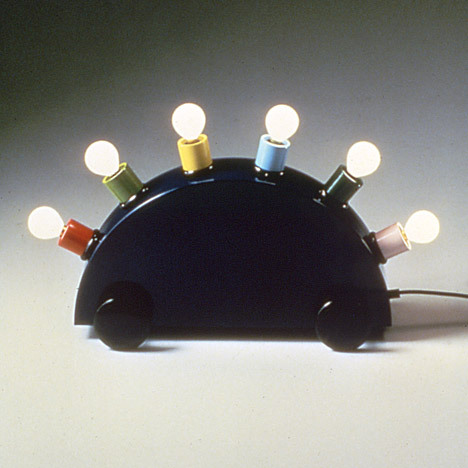 The Super Lamp was one of a variety of lighting designs that Bedin created for Memphis. The Super Lamp is still produced and sold through the Memphis Milano gallery, and has remained one of Memphis’ most recognisable pieces. 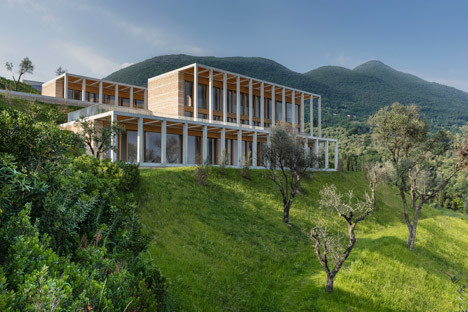 David Chipperfield Architects has completed a pair of holiday villas inspired by lemon houses on a hillside overlooking Italy’s largest lake (+ slideshow). According to David Chipperfield Architects, they “echo the rhythm of the surrounding olive groves”. The British architect’s Berlin office paired rugged stone walls with timber and concrete pergolas to recreate the aesthetic of Lake Garda’s famous limonaias – buildings where lemon trees are cultivated behind high walls. The largest of the two structures, known as Villa David Chipperfield, is a two-storey structure with an open-plan living, dining and kitchen space on the ground floor. Once complete, the Villa Eden will comprise seven villas, a hotel and an apartment building.